Francis J. Grondin, who turned ninety-six years old in December, is interested in hearing from fellow classmates and may be contacted at 8 Mill Pond Lane, Hampton, NH 03842. Wilfred “Jack” Sanders Jr. is the 2018 recipient of the Distinguished Service to the Legal Profession Award presented by the New Hampshire Bar Association at its annual meeting in June. He is retired from Pierce Atwood LLP in Portsmouth, NH. Stephen A. Hopkins, a retired trial attorney, is the author of Memoirs of a Cape Codder, a compilation of stories that take the reader from his childhood, college, Army service, and law firm years, to his life in retirement. He currently resides in Orleans, MA. The book is available on Amazon. 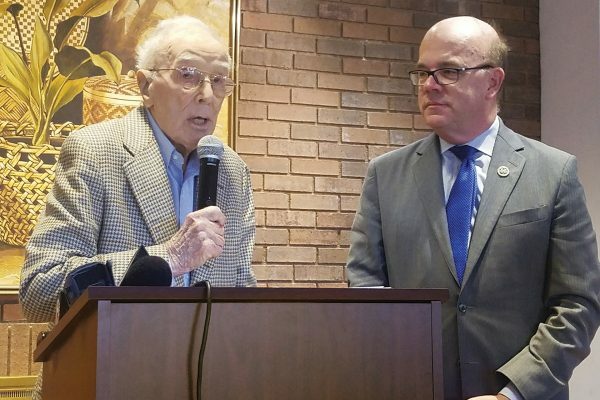 David T. Flanagan was honored as the 11th Annual Claddagh Award recipient by the Maine Irish Heritage Center for his lifelong service to his community and state. Following a long career marked by a strong sense of civic duty, he currently serves on the Board of Trustees of the Harold Alfond Foundation, the Board of Directors of the MaineGeneral Medical Center, and is honorary consul of the Republic of Bulgaria Consular District for the State of Maine. John C. Foskett is co-author with Caroline R. Thibeault ’16 of “Student Records,” a chapter in the 2018 edition of the MCLE treatise School Law in Massachusetts. He is an employment attorney at Valerio Dominello & Hillman LLC in Westwood, MA. Marc D. Greenbaum is professor emeritus at Suffolk University Law School in Boston following retirement after thirty-six years teaching labor and employment law. During his teaching career, he spent a semester at BC Law as a visiting professor. Jack P. Joy is the author of two poetry anthologies, Between the Tides: Poems of the Cape and Islands and Seasons of the Heart: New England Poems of Love and Loss, published by Create Space and available on Amazon and Kindle. John F. Kerry, former US secretary of state and five-term US senator from Massachusetts, is the author of Every Day Is Extra, a memoir published by Simon and Schuster in September. 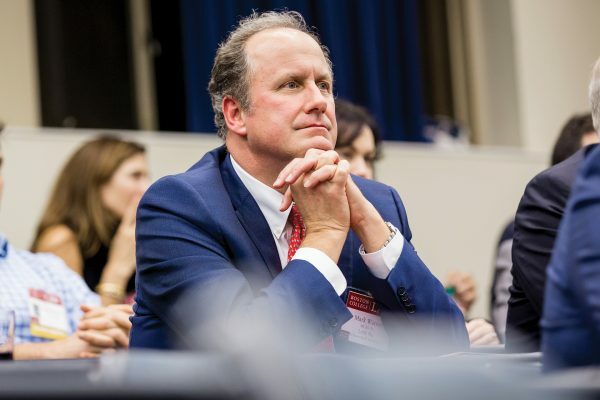 He currently serves as a distinguished fellow for global affairs and leads the Kerry Initiative for Diplomacy at the Jackson Institute for Global Affairs at Yale University, and is a visiting distinguished statesman at the Carnegie Endowment for International Peace. Hon. William D. Palmer retired in September after serving seventeen years as judge of the Florida Fifth District Court of Appeal. Jerold L. Zaro was appointed one of three trustees of the Gateway Program Development Corporation upon the recommendation of New Jersey Governor Phil Murphy. 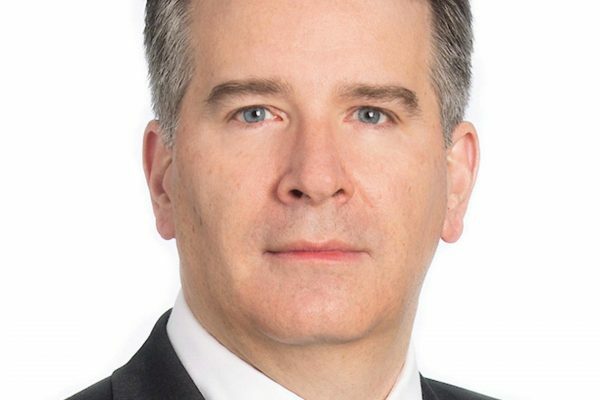 He is a partner in the Newark, NJ, and New York, NY, offices of Sills Cummis & Gross PC and chair of the firm’s banking and real estate services practice. Hon. Gilbert Badillo was honored with the St. Thomas More Award by the Catholic Lawyer’s Guild of Queen’s County in May. He retired in 2015 from his position as supervising judge of the New York City Housing Court of Queens County, NY. Mitchell E. Rudin was named president of Savills Studley, a commercial real estate firm headquartered in New York, NY. He was previously chief executive officer and vice chair of Mack-Cali Realty Corporation in Jersey City, NJ. Benjamin S. Wolf is legal director in the Chicago office of the ACLU of Illinois, where he has also served as the director and chief legal counsel of the organization’s Institutionalized Persons Project since 1984. Thomas A. Barnico, an adjunct professor at BC Law, presented “Degrees of Independence of State and Federal Attorneys General in the United States” at a seminar hosted by the Constitutional Governance and Social Change Research Group at the School of Law at Trinity College Dublin in Ireland. Susan Mack has been elected to partnership at Adams and Reese LLP in the firm’s Jacksonville, Louisiana, office. Her national practice encompasses advising life, health, and property/casualty insurers, brokers, general agents, and administrators on insurance regulations and other legal issues. She is an experienced mediator and served as corporate counsel for several companies, in multiple instances as companies’ first female general counsel, prior to entering private practice. Jonathan M. Albano was elected president of the Boston Bar Association for 2018–2019. He is a partner in the Boston office of Morgan Lewis and focuses his practice on commercial, media, and appellate litigation. Alexander C. Tang received the Robert Pitofsky Lifetime Achievement Award in September from the Federal Trade Commission, where he is an attorney in the Office of the General Counsel in Washington, DC. In addition to law, he has a career as a professional pianist, conductor, and arranger. Gina A. Hough has departed Fox Rothschild to join the Washington, DC, firm Carlton Fields as a shareholder in its real estate and commercial finance practice. She represents lenders that originate multifamily financing for Fannie Mae, Freddie Mac, and Federal Housing Administration-insured execution, including Multifamily Accelerated Processing (MAP) execution. She counsels national lending clients across all three executions and oversees the practice. She is a former vice president and deputy general counsel at Fannie Mae, and is considered a pioneer in the realm of strategic exploitation intellectual property assets in the mortgage finance industry. Kathleen M. McCarthy was nominated by Massachusetts Governor Charlie Baker to the position of associate justice of the Massachusetts Superior Court. She is the founder and principal of the Law Offices Kathleen M. McCarthy, a criminal defense firm in North Andover, MA. Kevin J. Curtin is the recipient of the Norm Maleng Minister of Justice Award presented annually by the American Bar Association Criminal Justice Section. He is senior appellate counsel for the Middlesex County (MA) District Attorney’s Office, an adjunct professor at BC Law, and an instructor at the Harvard Law School Trial Advocacy Workshop and the National Trial Advocacy College at the University of Virginia School of Law. Hon. Norma I. Sanchez-Figueroa was confirmed as a judge on the State of Connecticut Superior Court following nomination by Governor Dannel P. Malloy and presides on the Juvenile Court of Connecticut in Middletown, CT. She previously served as a family support magistrate with the State of Connecticut’s Judicial Branch. Prior to her judicial appointments, she practiced family, immigration, and real estate law in Connecticut. Warren E. Agin presented “Using Machine Learning to Predict Success or Failure in Chapter 13 Bankruptcy Cases” at the Law via the Internet annual conference in Florence, Italy, in October. The full paper was published in the 2018 edition of the Norton Survey of Bankruptcy Law. He is a senior consultant and director of professional development at LexPredict LLC in Boston, continues as of counsel to Swiggart & Agin LLC in Boston, and is an adjunct professor at BC Law. Tommy M. Shi is director of diversity and inclusion at Day Pitney LLP and works from the firm’s Parsippany, NJ, office. In this role, he leads the development and implementation of the firm’s strategic diversity and inclusion plan by serving as a thought leader, ambassador, and advocate. He was previously head of procurement for Mercedes-Benz Manhattan and the diversity and inclusion officer for Mercedes-Benz USA. He has served as president of the Asian American Legal Defense and Education Fund Board of Directors since 2011 and is a member of the National Asian Pacific American Bar Association Leadership Advisory Council. John P. Kacavas, former US attorney for the District of New Hampshire, is chief legal officer and general counsel for Dartmouth-Hitchcock, a nonprofit academic health system serving northern New England and headquartered in Lebanon, NH. 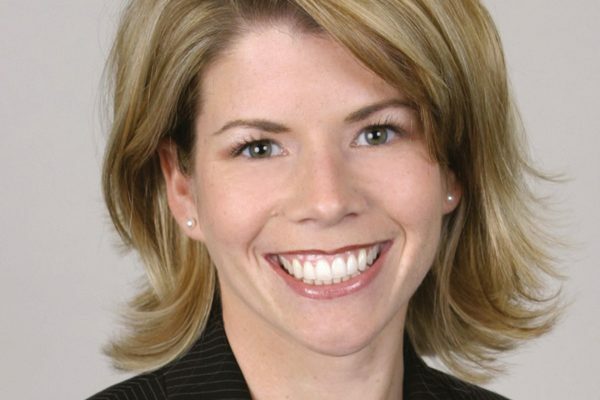 Christine A. Leahy was named chief operating officer at CDW Corporation in Lincolnshire, IL, where she previously served as chief revenue officer, senior vice president of international markets, and general counsel. 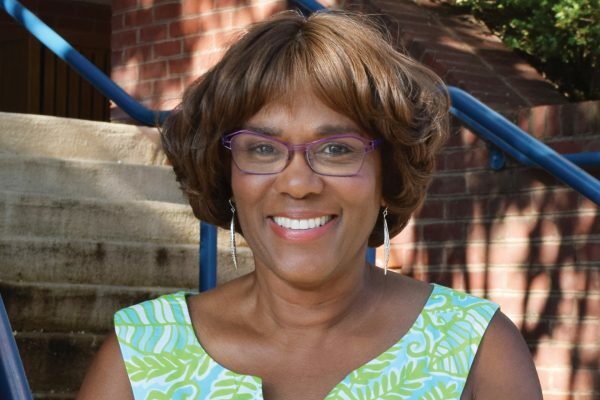 Elizabeth Martin is vice president at the Lewin Group, a health and human services consulting firm in Falls Church, VA. She was previously national vice president of program and network integrity for Optum-United Health Group and chief executive officer of the organization’s New Mexico program. Bradford S. Babbitt is a partner in the Hartford, CT, office of Robinson & Cole LLP and co-chair of the firm’s litigation section. His article entitled “Live Testimony from Rule 30(b)(6) Witnesses at Trial: What’s Fair Game?” was published in Litigation Journal, a publication of the American Bar Association Section of Litigation, in September. Brigida Benitez was named to the Women in Investigations 2018 list of 100 investigation specialists from around the world by Global Investigations Review. She is a partner at Steptoe & Johnson LLP in Washington, DC, and focuses on complex litigation, internal investigations, and global anti-corruption issues. Kathleen Browne is the chief investment officer of Denison University in Granville, OH. She was previously managing director of the endowment at Wellesley College. Michael J. Amoruso was elected president of the National Academy of Elder Law Attorneys for 2018–2019. He is managing partner at Amoruso & Amoruso LLP in Rye Brook, NY, and concentrates his practice on elder law, asset preservation, comprehensive estate planning, estate administration, and guardianship. Seema Nanda is chief executive officer and vice president of the Democratic National Committee and is the first Indian American woman appointed to the position. Previously, she was the executive vice president and chief operating officer at the Leadership Conference on Civil and Human Rights in Washington, DC. Deirdre E. Sanders was elected president of the Boston Patent Law Association. A partner in the Concord, NH, office of Hamilton Brook Smith Reynolds, she focuses her practice on strategic biotechnology patent prosecution counseling and intellectual property litigation and enforcement. Gregory P. Varga was elected to the Board of Trustees of High Hopes Therapeutic Riding in Old Lyme, CT. He is a partner in the Hartford, CT, office of Robinson & Cole LLP and focuses his practice on insurance coverage and corporate litigation. Peter V. Hogan is a partner in the Los Angeles, CA, office of Buchalter and a member of the firm’s corporate practice group. His practice is focused on securities, general corporate law, and mergers and acquisitions. Louis P. Lehot is co-managing partner in the Silicon Valley office of DLA Piper in East Palo Alto, CA, where he is co-chair of the firm’s US emerging growth and venture capital practice and focuses on corporate, securities, and mergers and acquisitions law. Danielle Porcelli Bianchi was named an assistant chief of staff for II Marine Expeditionary Force of the US Marine Corps and is responsible for force preservation. The organization, comprised of ground, air and logistics forces, represents one of the largest and most powerful Marine Air-Ground Task Forces. Bianchi resides in North Carolina. Amanda S. Eckhoff was appointed to the Board of Directors of the New England Center and Home for Veterans, where she coordinates volunteer efforts for employees at her firm, the Boston office of Robinson & Cole LLP. There, she is a member of the finance group and leads the commercial real estate finance team. Leila A. Amineddoleh was retained as legal counsel of the Hellenic Republic Ministry of Culture and Sports, a government department of Greece. She is the founder and managing partner of Amineddoleh & Associates LLC in New York, NY, and specializes in art, cultural heritage, and intellectual property law. Benjamin W. Spiess is an associate in the Anchorage, AK, office of Landye Bennett Blumstein LLP, where he is a member of the real estate practice group and involved in Arctic policy and development. He is also a member of the Board of Directors of the nonprofit organization Design That Matters and is an honorary trustee of the Chewonki Foundation. Victoria L. Steinberg is a partner at Boston-based Todd & Weld LLP and concentrates her practice on civil litigation. She was previously a partner at Collora LLP in Boston. Christopher J. Updike is general counsel at Bankruptcy Management Solutions in Irvine, CA. He was previously a corporate restructuring attorney at Debevoise & Plimpton LLP in New York, NY. Catherine Beideman Heitzenrater has been promoted to partner at Duane Morris LLP in Philadephia. She practices in the areas of bankruptcy, corporate reorganization, creditors’ rights, commercial finance, and secured transactions. She also represents insurance companies, secured creditors, Chapter 11 debtors-in-possession, Chapter 11 trustees, Chapter 7 trustees, liquidating trustees, and creditors’ committees in all aspects of bankruptcy cases. At BC Law, she was the managing editor for the Boston College Environmental Affairs Law Review. John Frank Weaver presented “A.I. Best Practices: Rules and Policies for Using Artificial Intelligence in Your Business,” a webinar by HB Litigation Conferences, and “Should Artificial Intelligence Be a Legal Person” for BC Law’s Program on Innovation and Entrepreneurship (PIE). He is an associate in the Woburn, MA, office of McLane Middleton PA, and a member of the real estate and privacy and data security practice groups. Nathan N. McConarty was named to the Board of Directors of Boston Partners in Education, a nonprofit organization committed to enhancing academic achievement in Boston public schools through community volunteer support. He is an associate in the business law group at Boston-based Hemenway & Barnes LLP and serves as co-chair of the Communications Subcommittee of the Boston Bar Association Exempt Organizations Section. Kate Foley was elected to the Board of Directors of the International Women’s Insolvency & Restructuring Confederation (IWIRC) New England Chapter. Kate is an associate in the Westborough, MA, office of Mirick O’Connell in the firm’s creditors’ rights, bankruptcy, and reorganization group. Anne R. Gordon, a senior associate at PricewaterhouseCoopers LLP in McLean, VA, was named a John S. Nolan Fellow for 2018–2019 by the American Bar Association Section of Taxation. Andrew M. Collins is regulatory counsel at Uber in Washington, DC. He was previously general counsel at theGroup DC, a government relations firm in the nation’s capital. Noah C. Hampson and his wife Rebecca are spending a “service year” as advisors to a private foundation that is funding the establishment of the Rwanda Institute for Conservation Agriculture (RICA)in the Bugesera District in Eastern Province, Rwanda. RICA is an undergraduate institution dedicated to training the future conservation agriculturalists of Rwanda and East Africa. Anusia H. Gillespie is the director of growth and innovation at Eversheds Sutherland in Atlanta, GA. She was previously senior manager of program development at Harvard Law School Executive Education. Mackenzie A. Queenin is an assistant US attorney in the Criminal Division of the US Attorney’s Office for the District of Massachusetts. She was previously a litigation attorney in the Boston office of Mintz Levin. Elizabeth Mone has joined the Western Massachusetts firm Bacon Wilson as an associate in its estates and probate department, where she works on matters related to estate and asset planning, trusts, long-term care planning, and matters of guardianship/conservatorship. Previously, she was a staff attorney for the New Hampshire Public Defender. Mark E. Woodroffe is corporate counsel at Altra Industrial Motion in Braintree, MA. He was previously a corporate associate at Cooley LLP in Boston. Walter A. Rodriguez Jr. was named a “Latino 30 under 30” honoree by El Mundo Boston in recognition of his leadership and efforts to promote diversity in the legal and Latino communities. He is a corporate associate in the Boston office of Locke Lord LLP. Caroline R. Thibeault is co-author with John C. Foskett ’76 of “Student Records,” a chapter in the 2018 edition of the MCLE treatise School Law in Massachusetts. She is an associate at Valerio Dominello & Hillman LLC in Westwood, MA, and focuses her practice on labor and employment law.